Will the Next Batman Movie Really Be Based on Batman Beyond? Could Amazing Spider-Man 4 be an Avengers-style team movie? Could a Sandman or Fables film be coming soon? Is Chronicle 2 in trouble, and is 20,000 Leagues dead? 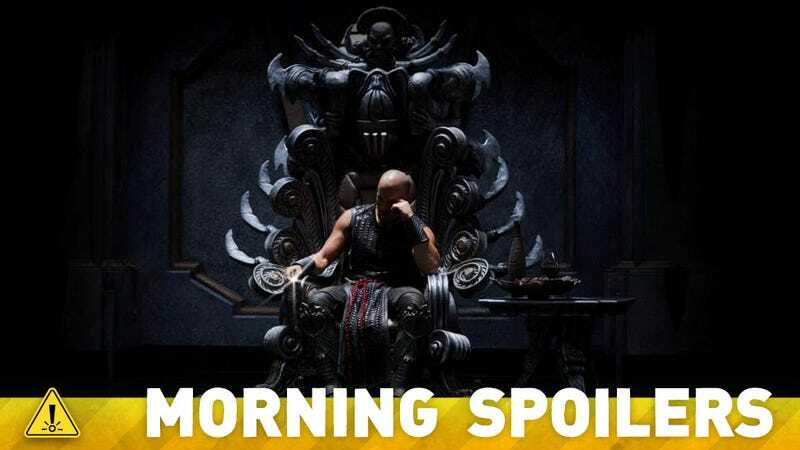 Plus Brad Bird's Tomorrowland gets its female lead, Gina Carano joins Avengelyne, and Arrow finds a Black Canary. Plus updates on The Crow and Dead Space. "My next movie is going to be a sci-fi, love story written by Nathan Parker, writer of 'Moon.' An incredible collaborator, we’ve been working together for almost a year now and hopefully we’ll be making the movie sooner than later,"
"It’s not going to be out of hand, but I think it’s a logical next step, if that makes any sense without giving too much away, of the budget realm. I’m really excited to explore a whole new thing while bringing my own passions to it and that’s what’s exciting about collaborating with someone who’s doing something totally different to you as together you can create something very original and unique by bringing different elements to the table." The film has added several new voice talents. Cate Blanchett will play the character Valka, a human who rescues dragons caught in traps. Kit Harrington will voice a dragon trapper named Eret, and Djimon Hounsou is joining the cast as a maniac named Drago Bludvist. I love the story and I told them I'd do it because I love the story, but it's not a remake of the original. It's a new interpretation. Of course, we have to fill some parts and new elements, but there was so much beauty and passion to the original. A lot in there we could do that was never done. That's the main thing that captured my attention. We can do something original. The darkness, the beauty, the violence and love. That's what got me excited. A lot of fans responded to the original movie, but this is going to be different. This is going to give them some good gifts. We're going to pull some stuff from the original comic that's going to be tough and we're going to do it in an original and artistic way. O'Barr: He's never really had a leading part. He's always been a supporting character. There's no baggage there. Much like Tom Hardy, he can become anything he wants to become. He's not Bruce Willis who comes with a package. It's the John Wayne curse. John Wayne is going to be John Wayne in whatever film he makes. I like the idea that Luke has done so many different types of roles. Gutierrez: The character of Eric is so complex. He's going to be sensitive when the love story comes in and it's going to be dark when the violence comes in. You have to buy that cocktail of emotions and to find an actor that can balance that in his soul and eyes is tough. He has to have that range, we need an actor. Not somebody with a pretty face. I was very lucky to get Luke. We have a good actor that can put his soul into it. And here's the second TV spot for Riddick.